This Men Vintage Cowhide Laptop Computer Backpack is perfect to use for school or work because it offers plenty of storage space for your essential items. The exterior comes with three compartments that feature flaps with hasp closure systems. A matching flap on the top also comes with a hasp closure system. Flip it up and you will find a top that secures with a drawstring closure. Expand that and start packing your books, lunch bag, wallet and other essential items into the roomy interior. Shoulder straps adjust for a comfortable fit. If you don’t want to use the straps, use the grab handle as another carrying option. Due to the different types of measurement methods, please allow up to 1/2″ 1-2 cm in the size deviation. Backpack is good. Good, a good thing. Bag for the price is great! not stick no strings and there is no spot. the quality is very good! leather is a little stiff, but it does not matter. treat аэрозолью and napkins with waxed shoe nubuck and everything will be ok! until this process bag with Ali-no smell, the skin becomes soft and shiny, look healthy. recommend this store. very sociable and for "bazaar" Answers. I asked him to send backpack birthday son, as a gift. seller answer would try to do (see the marriage and quality, fast and fast deliver). all made as promised, even earlier. put the backpack birthday card for his son and small souvenir. thank you very much! all recommend this product and this seller! Like a backpack, leather on the surface quality, there is little leather smell, but it is not sharp. All the high quality, exactly. Thanks to the store. The backpack is good, high quality. Great packaging, slightly larger than thought. Thank you to store 5 +. 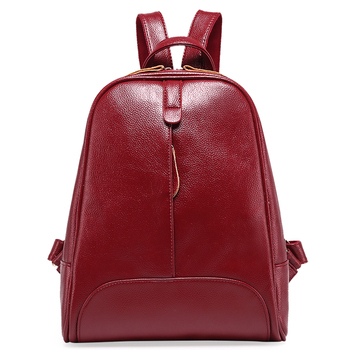 sharp-chemical odor normal backpack conjures up the thought, it is a genuine leather sewn so and neat, accessories have quality. excellent backpack! sent very fast. thank you! excellent item. than made my expectations has passed. backpack excellent, тяжёлый slightly, but it is leather. good skin, like backpack. long t despatching. k. hit buy the chinese new year. delight backpack!!!))) quality range, genuine leather straight stitching, магнитах pockets on valves, clasps, accessories have quality. uniquely recommend to buy, thing is the moscow will cost is much more expensive!